Christmas is wonderful – glorious weather, glorious food, glorious company, glorious gifts. 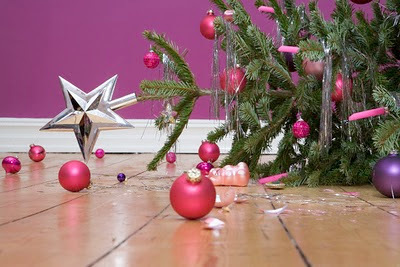 However, the holiday season also comes with health hazards, some worse than others. Here I’ve listed five unpleasant Christmas-associated ailments and how to avoid them. If you’re planning to spend a day in the sun on the 25th, please be nice to your skin! Get prepared with sunscreen, sunglasses, a hat and a generous supply of drinking water so you don’t get sunstroke. Our Christmas dinner usually comprises (among other things) chocolate, ham, cheesy potato salad, pavlova and icecream cake. Which are all delicious, but together can result in queasiness and ruin the rest of the night. If you have a similar dinner selection, pace yourself with salad and fruit between all the fatty meat and dairy foods. I promise you’ll feel better afterwards. Drink and be merry, but drink water too if you plan to make it to the Boxing Day sales the next day. Try not to mix drinks, and be sure to fill up on Christmas dinner to soak up the alcohol in your system. And please don’t drive home – organise a designated driver in advance, or else call a taxi. It sounds like a peculiar hazard for Christmas day, but I bet I’m not the only one to receive polyester pyjamas and strange body lotions from my relatives. If the tag says ‘Wash before wear’, do it; test any new skin products on a small area first. The absence of loved ones can often be a downer for Christmas celebrations. This will be the first Christmas my Grandmama won’t be here, and while it’s very sad we will be thinking of her the whole day and we know that she would want us to celebrate Christmas happily. If your family’s apart for Christmas for whatever reason, don’t let absence ruin the day. Do you have any more tips for avoiding Christmas blues? Share them below! This entry was posted in Culture and tagged christmas, family, health, health hazards, sun. Bookmark the permalink.